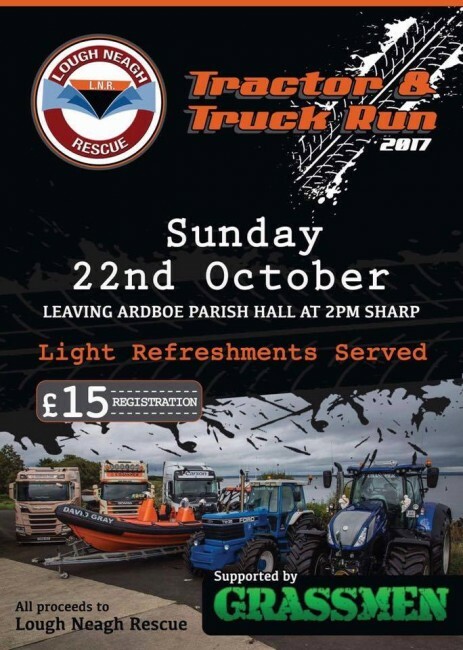 Lough Neagh Rescue is organising a tractor and truck run on Sunday 22nd October at 2pm leaving from Ardboe Parish Hall Car Park. Registration Fee is £15 with all proceeds going to Lough Neagh Rescue. A light Lunch will be served.